Special Offer from Charisma Salon! Hello everyone! How is October treating every one? A little colder than the summer? Well here at Charisma Salon we know just the trick to warming up your hands a feet! With a little mani/pedi “you time” you will beat the weather and look sharp for those around to notice you! We are running a special which is sure to make your day better! 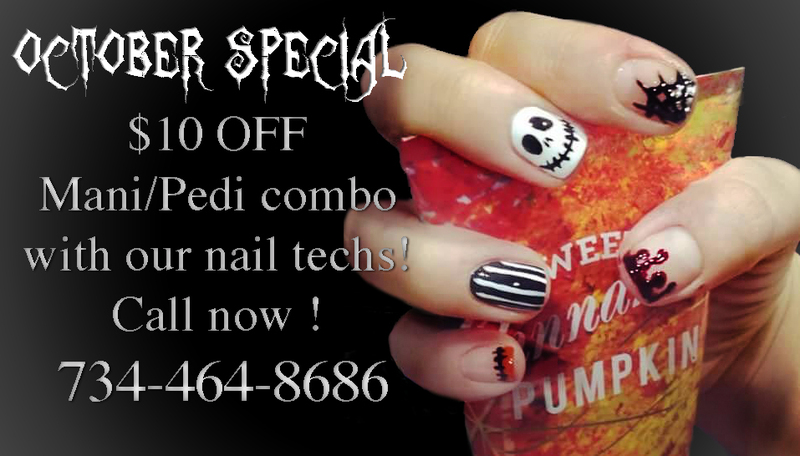 For the remainder of October 2015 you can take $10 off any of our Manicure/Pedicure combo with any of our nail techs! Hurry because this deal won’t last long and every one should look their best for Halloween! 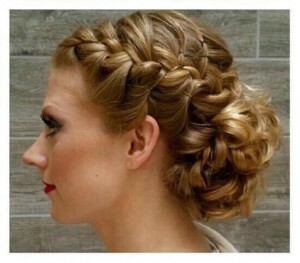 Do you want manageable hair with great texture? Charisma Salon and Day Spa now carries the Eufora hair product line. We chose to carry the Eufora product line because it is superior to other hair care brands. The Eufora product line uses organic Aloe Vera gel as a product base when many hair care products use water as a product base. Along with their unique blend of botanical extracts, this is how Eufora out performs other products in the renewal, growth and healing departments. Eufora carries other products including finishing sprays, styling wax and boosting powder. The Eufora product line has been featured in Cosmo for Latinas in January 2015. In Feburary 2015, Eufora was also featured in Modern Salon magazine. Besides these major publications, the Eufora product line has been featured in numerous Digital Media outlets across the web. Look for a series of product tips and tutorials from the experts at Charisma in coming posts. Don’t miss out! Improve the texture, manageability and strength of your hair now and walk among the stars with Eufora products sold at Charisma Salon. Getting a Manicure or Pedicure? OPI’s new fall and winter collection has amazing colors. Their heavily pigmented lacquers are long lasting and chip resistant! Treat your self to a mani and pedi at Charisma Salon and pick one an OPI color to match (or improve) your mood. 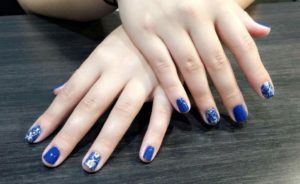 Whether you choose American, French or one of the many other types of manicures that Charisma Salon in Livonia offers, make the make the most of it by choosing one of the new vibrant nail colors!